1. Electrical parameter measurements function (voltage, current, active power, energy). 2. Overload alarm function (over power alarm threshold the power flash and the buzzer beeping to alarm). 3. Power alarm threshold preset function (user can set power alarm threshold). 4. Energy key reset function. 5. Store data when power is off (store the accumulated energy before powering off). 6. 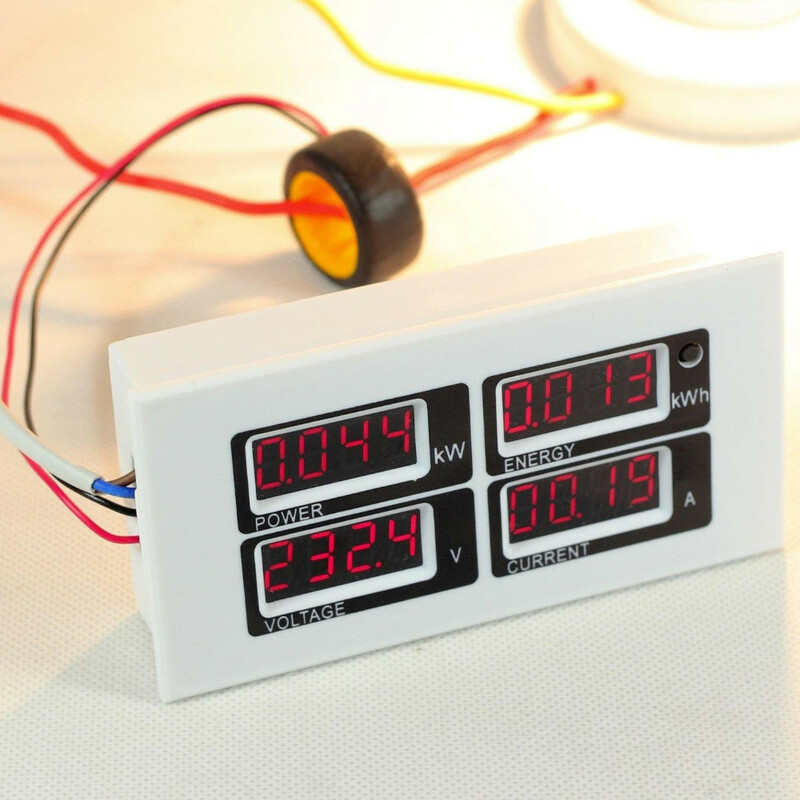 Bright red digital display feature (display voltage, current, active power, energy). 7. Serial communication function (with TTL serial interface). Display interface is created by four bright red digital tubes, used to display the voltage, current, power, energy parameters. Within 10 ~ 22kW, the display format is 10.00 ~ 22.00. 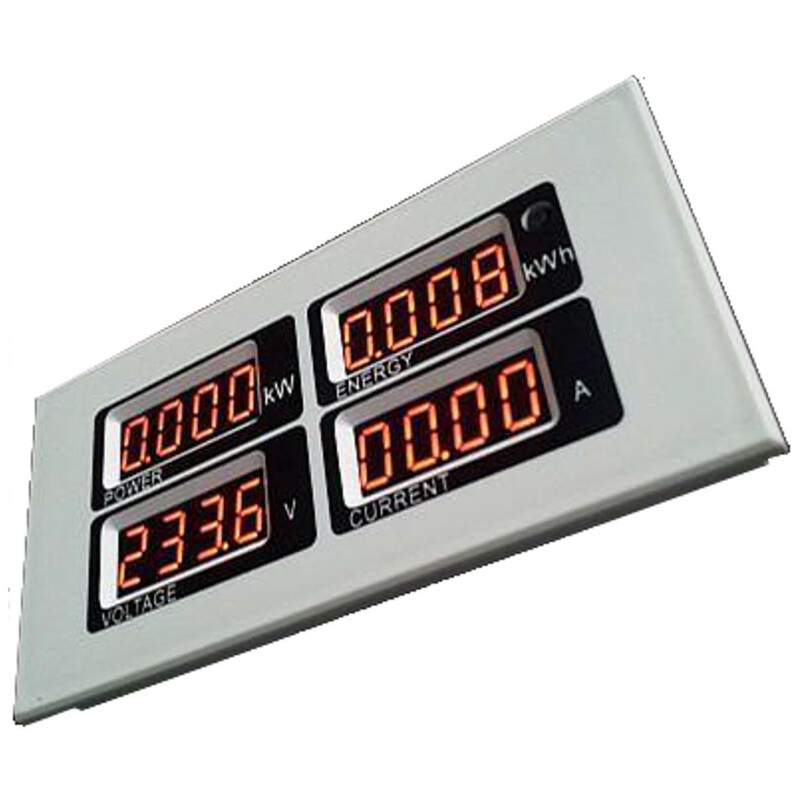 1000 ~ 9999kWh and above, the display format is 1000 ~ 9999. Display Format is 110.0 ~ 220.0. Display Format is 00.00 ~ 99.99. There is a button on the panel, it can be used to reset energy. The method to reset energy: Press & hold the button for 5 seconds until the digits on the energy display window flash, then release the key. Short press the button again, then the energy data is cleared and the display will stop flashing. Press & hold the button for 5 seconds again. The wiring of this module is divided into two parts: the voltage and current test input terminal wiring and the serial communication wiring, as shown in Figure 1 and 2; according to the actual needs of the clients, with different TTL pin board to achieve communicate with different terminals, TTL pin board is not included in this module packing list, if you need it, please prepare it yourself or buy it online. 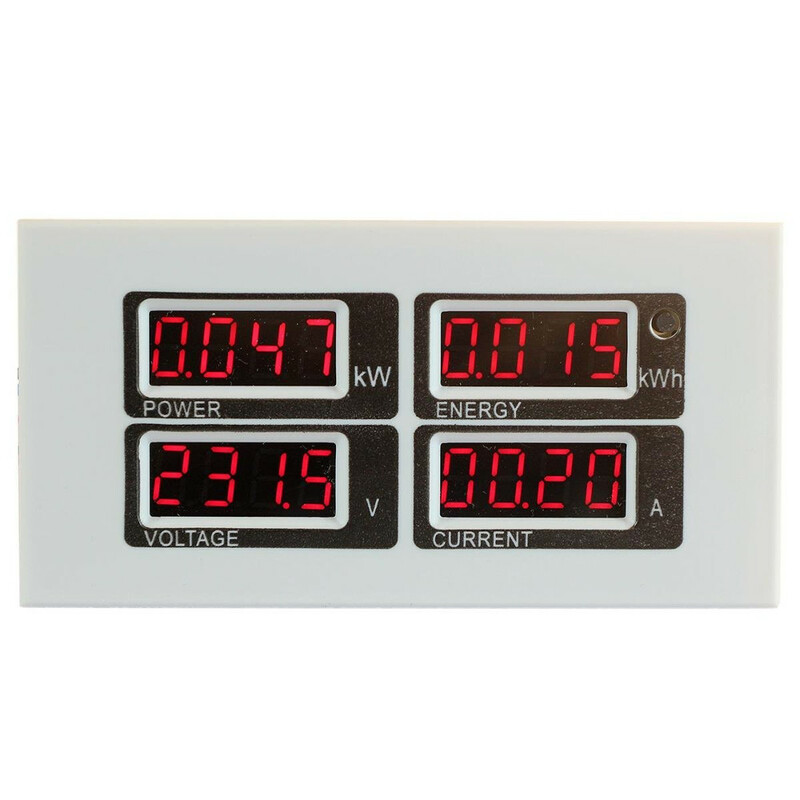 Measure and display the current power frequency grid voltage. Measure and display the current load (appliances) current. There is supplementary instruction that the current test value is from the beginning of 10mA , but this module belongs to high power test equipment, if you care about the mA level current testing accuracy, it is not be recommended. 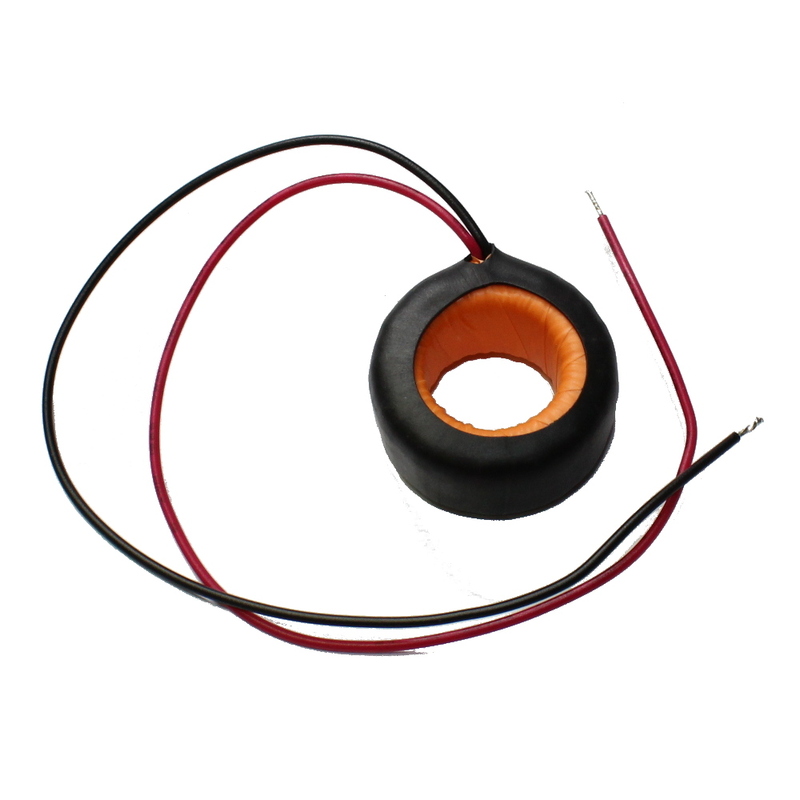 Measure and display the accumulative current power consumption. There is supplementary instruction that the minimum unit of the energy metering is 0.001kWh,which means it begins to accumulate from 1Wh, relatively speaking, the resolution is rather high, for the low-power(within 100W)load test, you can observe the accumulative process rather intuitively. Measure and display the current load power. There is supplementary instruction that the power test value is from the beginning of 0.001kW , which means it begins to test from 1W, but this module belongs to high power test equipment, if you have the requirement of the testing within 1W, it is not be recommended. 1. 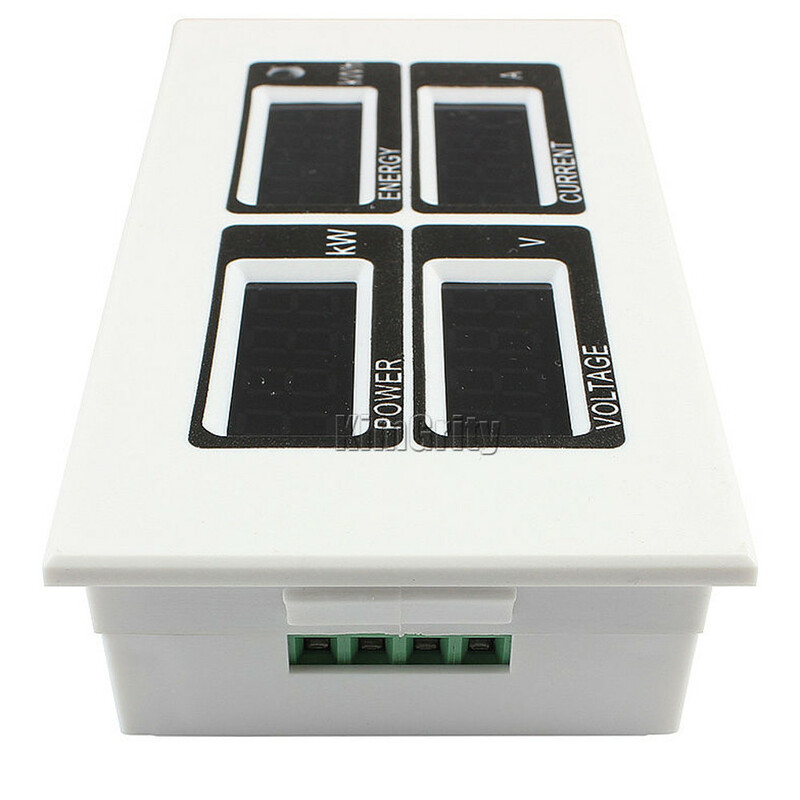 This module is suitable for indoor use only, please do not use outdoors. 2. Applied load should not exceed the rated power. 3. It can't be used with an inverter. There are three types of power: active power (P represents / unit W), reactive power (Q represents / unit Var), apparent power (S represents / unit VA). And the power of our product is active power. Active power is calculated as: P = U * I * cosφ, cosφ represents the power factor, for purely resistive loads (such as incandescent, heater, etc.) the power factor is generally close to 1, for inductive load and capacitive load, the power factor is between 0-1; so when you test the purely resistive load, the power(P) is substantially equal to or close to U * I; but when you test inductive or capacitive loads (such as refrigerators, washing machines, televisions, computers, etc. ), P <U * I . 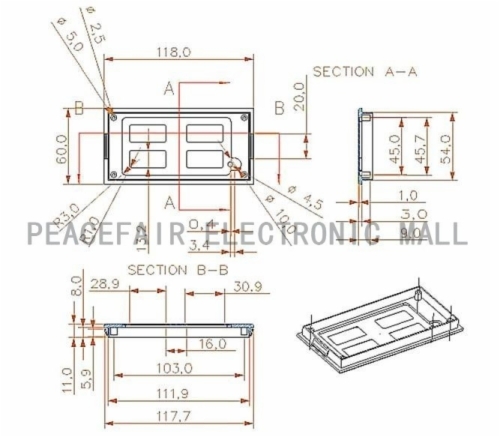 As for the specific number is related to the power factor, for each appliance has different power factor, so please believe the value of our product.